College learning comes with many responsibilities and among the most important one is paying for school fees. As such, if students need more money to finance their education they will be writing scholarship essays. A great scholarship essay provides a perfect understanding of the person doing the application, and this can be very important in winning the award. Scholarship essays are very similar to college essays with regard to their terms of strategy. When writing scholarship essays,the applicants may share the same grades, test scores, and ambitions. However, the way they write their scholarship essays is very much different, and it could mean the difference between winning the award and failing to get it all together. You need to talk about your personal life or be specific about your achievement throughout your academic life. These essays can be part of the initial screening process that aims to flush out those who have not met the threshold of getting a grant. Sometimes they can provide a prompt or a question to which you are supposed to respond. As such, the applicants, through their scholarship essays, have a chance to convince the committee that they need that particular grant. Your scholarship essay may contain details about your activities in which you have participated and added value. This can help them to know if you can add anything not only to the group but also to the institution where the grant is supposed to be used. Most of the major papers that the student has to write have varied content depending on the requirements provided by the committee that is mandated to award the grant. A couple of processes may be required here. As such, you have to carefully read and understand the instructions provided in the creation of any particular scholarship essay. When writing scholarship essays, read the question repeatedly until you are sure that you have understood whatis required of you. Break it down into key terms and themes as well as subthemes. Circlethese themes with a marker and them delve into brainstorming the personal connection and experiences that you may have with these themes. If you want your paper to be exclusive, you have to provide your personal, unique perspective on the subject, instead of providing a detached explanation to the reader. Remember you are not the only one looking for this scholarship chance. For instance, if the theme is social injustice, think of yourexperiences or dealt with instances of social justice or injustice in your life. Think of how you are going to introduce your scholarshipessay in a manner that creates a connection between you and the major theme you are handling. The best thing you can to whenwriting scholarship essaysis to give it your voice from the onset. You want the audience to know that he is your essay and this has to be clear from the start. Show them the connection of the essay to your experiences, perspectives, and ambitions to the core value of the scholarship. Refrain from stating the obvious, like your name. Just like any other essays you have written, you can start with a quote or a description of the connection and make it personal. You can use the first two sentences of your scholarship essay as an introduction to a story, experience, or anecdote that grabs the attention of the scholarship committee. Personal experiences and anecdotes can be used in other parts of the scholarship essaystoo. When writing scholarship essays, keepyourintroduction as engaging as possible even if you use a great hook in the beginning. This will make it strong as you try to tell the audience what the body of the paper will be dealing with. This will not only hook them to the essay but also it will help them to keep reading. When it comes to scholarship essays, you have to remain within the confines of the topic. You can focus on personal experiences and examples that link directly with the key themes addressed in the essay question. If you want to develop an engaging introduction for scholarship essays, ensure that you do not lose focus along the way. If you find yourself veering off what you are writing about, it’s good to refer back to help you stay on the topic. Select the key focal point and bring it full circle from the consent to the end. When writing scholarship essays, you ought to include formatting, subject matter, and other specific requirements for submitting your essay. Read the instructions on the application get an understanding of what they are searching for. You can print out these instructions and highlight crucial sections life the formatting guidelines, essay question, and evaluation criteria. The the instructions provided for your scholarship essays may dictate the writing style, personal connection to that cause or the leadership potential. If you do not encounter the evaluation criteria, you can contact the organization or by visiting their website to know more about it. When writing scholarship essays, you need to be aware of the mission and vision statements of the organization that you are addressing. Be aware of their charity initiatives. Read any information you get on their website and identify key themes or issues that they value most. For instance, if you were addressing a wild conservation organization, one of the key themes here would be environmental sustainability. This information can be accessed from the company’s website or by contacting the organization directly. 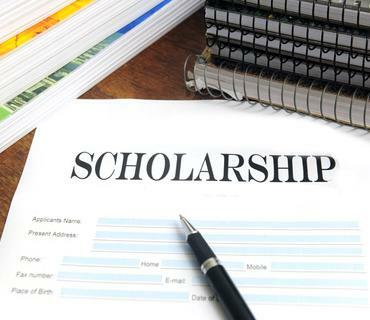 Let them know you are interested in the scholarship and tell them you are eager to learn more about them.However, not every organization responds to this kind of request, but you may be redirected to someone in the scholarshipcommittee. You can build a rapport with them and learn as much as you can about theaward and the organization at large. It would be a grwat source of help writing scholarship essays. Most of the scholarship organizations will include the names of the past recipients displayed on their websites. You can go through these names to get a list of who has been supported by the organization in the past. However, you can never in any way whatsoever, try to be like one of the past recipients. The idea of writing scholarship essays is to be unique because your personal experiences only relate to you and no one else. When writing scholarship essays, you have to ensure you are well within the time limit provided. You have to be sure whether your best works come from adequate preparation or you do a better job under pressure. Having a personalized schedule goes a long way to meeting your needs giving yourself at least a a week for the delivery of the essay to be sure you have met the deadline. For instance, you can take three weeks to write an essay. Dedicate the first week to researching and brainstorming for your ideas. In the second week formulate the outline of your essay and in the third week, dedicate time to reading and writing, editing and proofreading your essay. An outline gives your essay a structure and makes it easy to read. All scholarship essays should have an introduction, the body,and the conclusion. Every paragraph you make should revolve around a single idea. In your introduction, you have to include a thesis statement and tell the audience what you are going to show in the body of the scholarship essay, Provide vivid examples in the body of your essay as well as stories that highlight why you are the right person to get the scholarship. The conclusion that you write ought to emphasize all your connections between your experiences and the vision of the scholarship organization. In the body of your scholarship essay, you have to use personal experiences and examples that illustrate your major points. Let the committee know that you have experiences that are crucial to theaward. Include one example in every paragraph. Scholarships meant forstudents from rural backgrounds who have promisingpotential, as a community leader demands the student to show this in his scholarship essay. You can describe the important aspects of how you grew up ina rural area and the leadership quality that helpsyou insupporting your argument. Always focus on your strengths when writing your scholarship essays. The the scholarship committee will be reviewing hinders if not thousands of scholarship essays. As such, ensure that your essay is free of any well-worn phrases and quotes. For you to be exceptional from the crowd, use your own words to express yourself, and in the best way, you see fit about the award. You might need help writing scholarship essays, but that does not mean you submit something that is full of errors. It will get thrown out at the first instance because no one wants to read something that demonstrates the writer as a carefree person who does not even pay attention to the simplest rules of writing. When editing your essay, you can read it aloud taking a mental note of any passages that are confusing to are complex. Once you finish, rewrite these passages, and read the essay again. You will notice parts that are more concise as you cut down on unnecessary words or phrases. Take your time between the drafts. In other words, take some time off from your scholarship essay for like an hour, or even a day before you can do the final touches. You can let another pair of eyes read your work irrespective of how confident you are. Getting another person to review the work is another source of help writing scholarship essays and they can identify a few mistakes you might have overlooked inadvertently. You can print off your scholarship essay to help you in going through it with a pen or pencil. Read every sentence looking for typos or grammatical errors. You also need to check the punctuations and spelling. Most importantly do not rely on your computer’s spellchecker alone because it could miss some mistakes. Depending on your preference or the required mode of submission, make your essay accessible to the scholarship committee. You can email your essay to the address they provide in the application guidelines. After that, cross your fingers and wait for a response. Early submission allows you to address any possible questions that might come up before the lapse of the deadline. Do not submit the essay too close to the deadline because you could miss the chance. Increase your chances of getting the scholarship by writing perfect scholarship Essays with us!